When importing contacts into CiviCRM, you have the option of adding those contacts to a group and/or assigning them a tag. This will only apply to NEW contacts being imported, not to duplicate contacts that may be found and skipped or updated during import. A fool-proof method to identifying imported contacts (e.g. 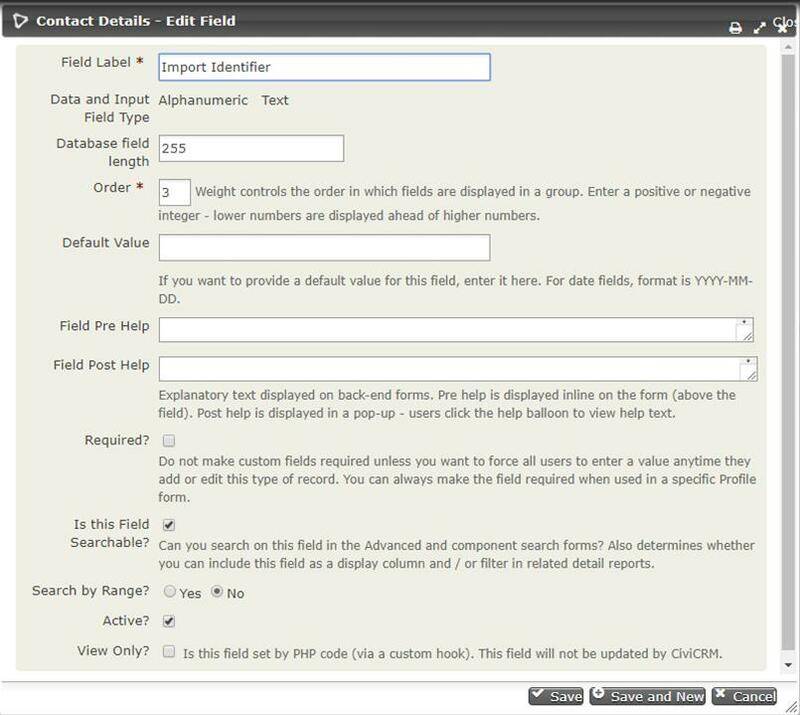 in order to be able to easily search and/or delete them if a mistake has been made) is to include a custom field for this purpose. I like to call it “Import Identifier”. The value you assign as the Import Identifier should correspond with the file that you are using for import so that you can easily cross-reference the two and verify that all contacts have indeed been imported (e.g. if the import file’s name is “Oct. 2017 Leads”, that should be the Import Identifier as well). Every import file should have its own unique import identifier. The resulting contacts should match whoever was successfully imported from your "Oct. 2017 Leads" import file.